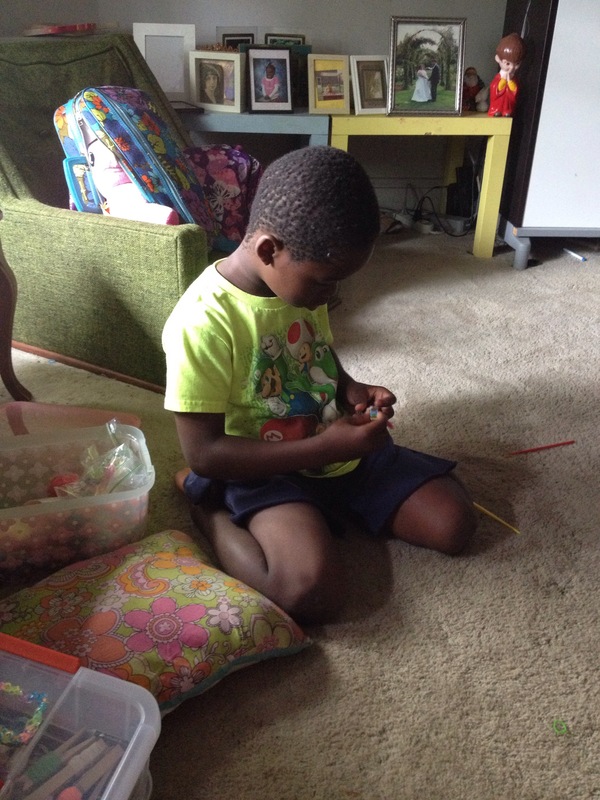 My kids spent a few weeks at a summer day camp this year and while at day camp, Bea learned about rainbow loom bracelets. That’s my bracelet. Bea didn’t like it because the pink quotient wasn’t high enough. 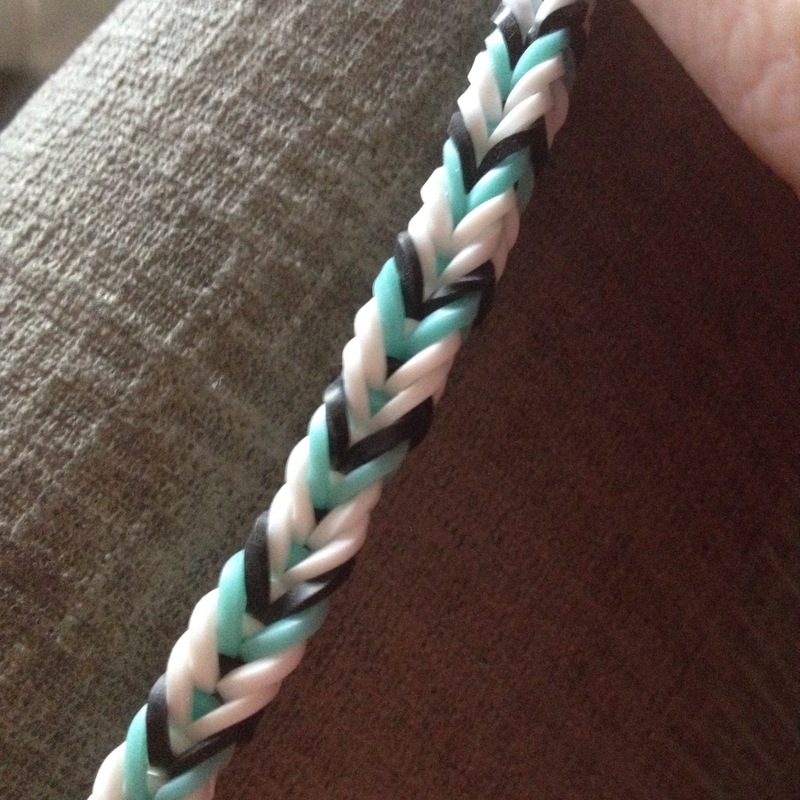 And not to be outdone, I taught this fellow how to make the fishtail bracelets and he’s making them! So, here’s the weird thing though – they don’t wear them!!! Bea puts hers into a purse, and Lucien’s are in a pencil case, and they constantly count them and bring them everywhere – but never wear them. It is so weird.